This brilliant live performance by the Steve Miller Band dates back to 1976, when Miller (with an all new band) took to the road to promote his now classic Fly Like an Eagle album. He continued to have hits and stayed fairly active for another ten years before slowing down toenjoy a slower pace of life. Over thirty years since this show was played, the Steve Miller Band has remained a strong staple of FM radioplay lists and is still a huge concert draw. Steve Miller formed his first band, the Marksmen Combo, with a new friend, Boz Scaggs. At 14, he was sitting in at the biggest and mostimportant music clubs in Dallas, jamming with the likes of Jimmy Reed. He settled in Chicago, and was sucked into the thriving blues scene. 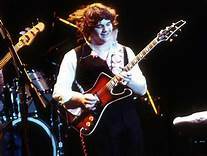 He formed the Steve Miller Blues Band, and at only 22, working (andplaying) with legends such as Howlin' Wolf, James Cotton, Muddy Waters and Paul Butterfield. The Steve Miller Blues Band moved to San Francisco, which was at the dawn of the hippie movement. After they made their first album, alive LP on which they backed Chuck Berry at the Fillmore West, the group dropped "Blues" from their name and began to broaden theirmusical horizons. They started writing and performing in a myriad of styles that included rock, jazz, progressive, R&B, and of course,blues. Somehow, with Miller's distinct vocals and guitar work, it all sounded consistent. Within 18 months, the group was signed to Capitol Records, home, at that time, to The Beatles and The Beach Boys. Miller, upon advicefrom Les Paul, demanded and received full artistic control on all recordings released, something he has maintained throughout his career.He went on to have a number of Top 10 and FM radio hits including "Living In The U.S.A.," "The Joker," "Fly Like An Eagle," 'Rock 'N' MeBaby," "Take The Money And Run," and many others. This show is classic Steve Miller Band from a time when they were among themost celebrated American rock groups.